What is Woof & Brew Senior Herbal Tonic? Woof & Brew Senior is ideal for helping boost aging dogs & keep them fit & healthy. This blend also helps support ligaments, joint and musculoskeletal systems. Alfalfais rich in calcium, phosphorus, potassium and magnesium, in addition to most vitamins (Vitamins A, B1, B12, C, D, E and Vitamin K). Because of this, alfalfa is a good detoxifier and blood purifier. Alfalfa also aids digestion. Gingkois an antioxidant that is packed with flavonoids. This helps with oxygenation of the blood and circulation around the body as well as the blood supply to the brain. Hawthornis most often used for supporting a healthy heart and the circulatory system. Hawthorn has also been shown to support blood pressure and muscles. Burdockis a natural antioxidant with blood cleansing qualities. Rich in Vitamin B12, burdock also helps to support blood supply to the skin, helping to detoxify and cleanse the skin of impurities. 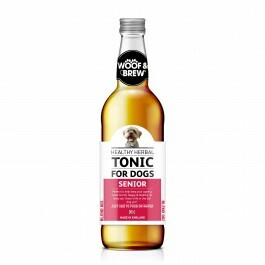 What are the benefits of using Woof & Brew Senior Herbal Tonic? What is in Woof & Brew Senior Herbal Tonic? 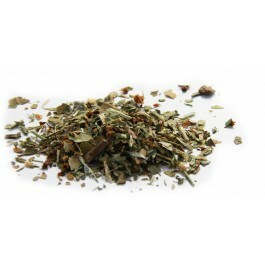 Composition:Water-based infusion of Alfalfa, Devil’s Claw, Gingko, Hawthorn & Burdock.